There’s not much we can do for our friends in New York and New Jersey, who faired much worse than we did, but if they are able to read it, perhaps this distraction will be welcome. There are so many reasons to love “Rear Window”: for it’s taut, spare narrative line; its ethical meditation on cinema; its sensitive exploration of love; its colorful evocation of apartment life in Manhattan—and, of course, for Grace Kelly. But what struck me about the film on this viewing was that it is framed by two striking references to South Asia. When the film opens, a photojournalist named L. B. Jeffries (Jimmy Stewart), receives a phone call from his magazine editor, Gunnison. The editor has forgotten that his best photographer still has another week to recover from a broken leg, and he calls to offer him a “big assignment”—a trip to Kashmir. The book you can spy at minute 1:21 happens to be a recent favorite of mine. 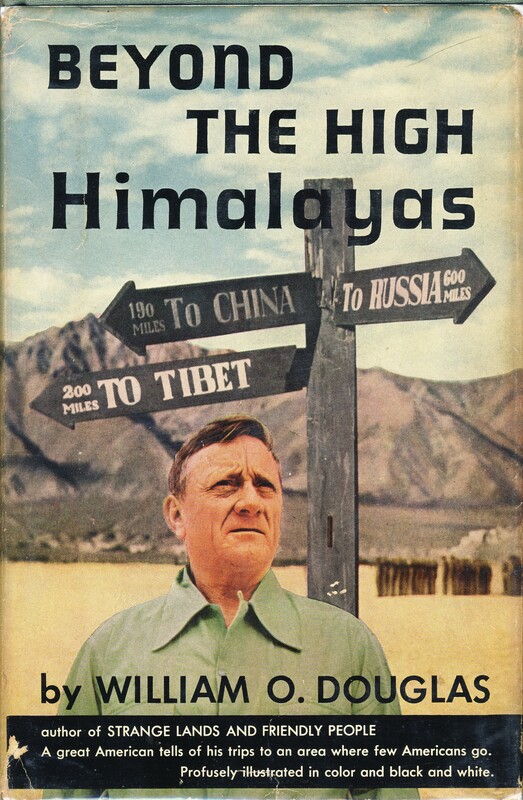 It’s titled Beyond the High Himalayas (1952), and it’s an account of the people and landscape its author encountered during his travels the year before in India, Pakistan, and Afghanistan—and it includes some reflections on the conflict in Kashmir. Its author—whose face Kelly is covering with her first two fingers—is none other than Justice William O. Douglas of the U.S. Supreme Court. 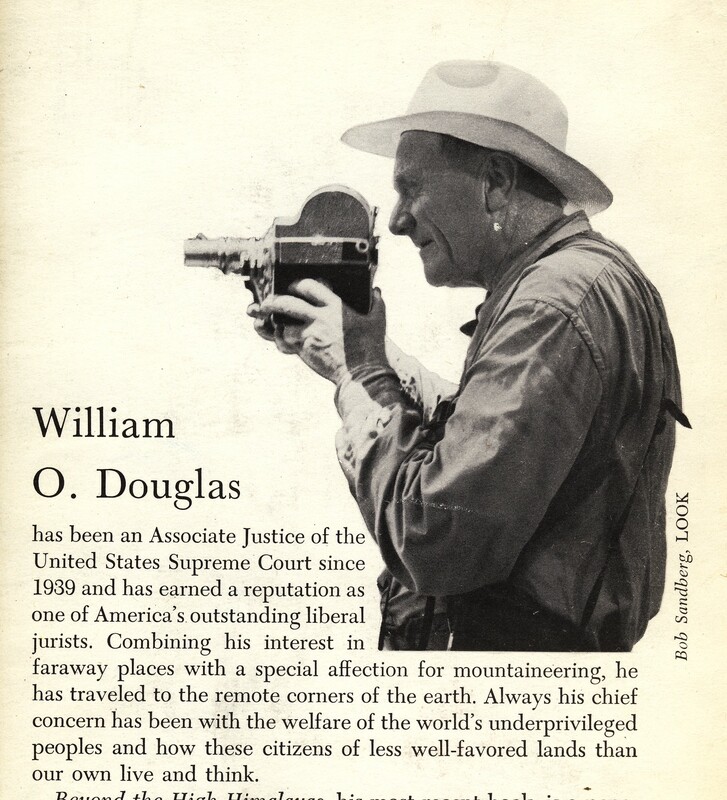 Justice Douglas wrote numerous accounts of his adventurous treks around the world, especially in Asia, and the enthusiastic embrace of human diversity by a judge of our highest court makes my heart swell (it doesn’t hurt that Douglas was a hiker, one of my own favorite pastimes). “I went first to Afghanistan, where I visited Kabul, the capital, and then turned north and crossed the Hindu Kush by the Shibar Pass, dropping down to the ancient Buddhist town of Bamian. Then I retraced my steps to Kabul and returned to West Pakistan over the Khyber Pass, stopping at the city of Peshawar. From there I went north to the Kingdom of Swat for a brief visit. Then I flew the western stretch of the Himalayas to Gilgit and took some trips into the area that stretches along the Sinkiang border. “The political story cannot be understood unless the country, the people, their institutions and problems, their worries and superstitions are known. One must walk or ride vast and empty regions to know these things about Central Asia. This is not easily done. It requires great physical exertion and adventure into high and distant places. 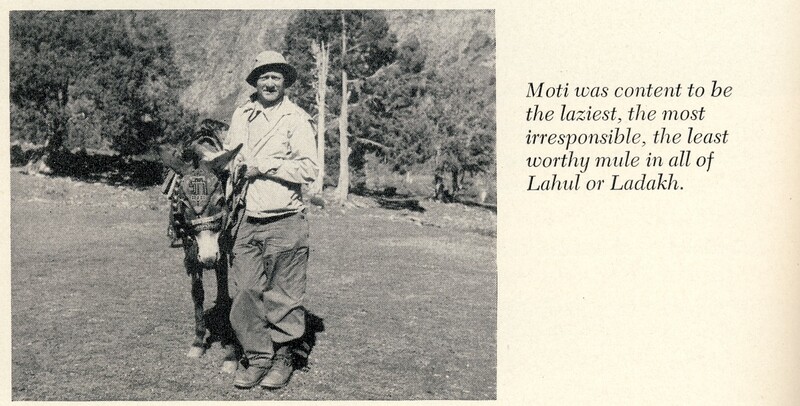 Just a reminder: the man who is writing about wandering the Khyber Pass and seeking out goatherds is a sitting justice of the U.S. Supreme Court. Justice Douglas is generally known in the United States for his ringing defense of individual rights, especially the freedom of speech (here is a videotaped interview he gave about the subject to Mike Wallace in 1958). Among lawyers and legal scholars, however, is also known for his bold environmentalist jurisprudence. 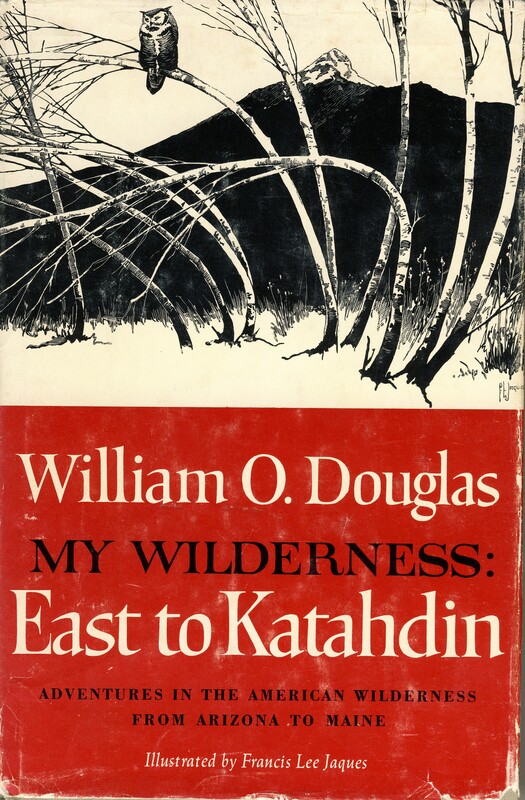 “If we are to survive, we must make Katahdin the symbol of our struggle for independence from the machine that promises not enslave us. We must multiply the Baxter Parks a thousandfold in order to accommodate our burgeoning population. We must provide enough wilderness areas so that, no matter how dense our population, man—though apartment born—may attend the great school of the outdoors, and come to know the joy of walking the woods, alone and unafraid. “Once he experiences that joy, he will be restless to return over and over again to discover the never-ending glories of God’s wilderness and perhaps solve some of its mysteries. Before long he will cease to enter our wild precincts as a predator. He will come with reverence. He will learn to see bog kalmia, fiddlehead ferns, and woodcock chicks in the leaf litter at his feet as links in a chain of which he too is part. One important doctrinal component of the wilderness Bill of Rights that Justice Douglas advanced—unsuccessfully, but with enduring influence—was within the technical legal field called “standing.” Standing rules determine when a litigant is allowed to bring a suit before a court. These rules are especially important for our federal courts, whose powers were intended to be limited. That’s why all litigants must be able to show that they were personally injured by the actions of the person or group they are suing (you generally can’t bring a suit in federal court on behalf of someone else). In a 1972 case called Sierra Club v. Morton (1972), Justice Douglas called on the Court to alter those rules with respect to claims about the environment. 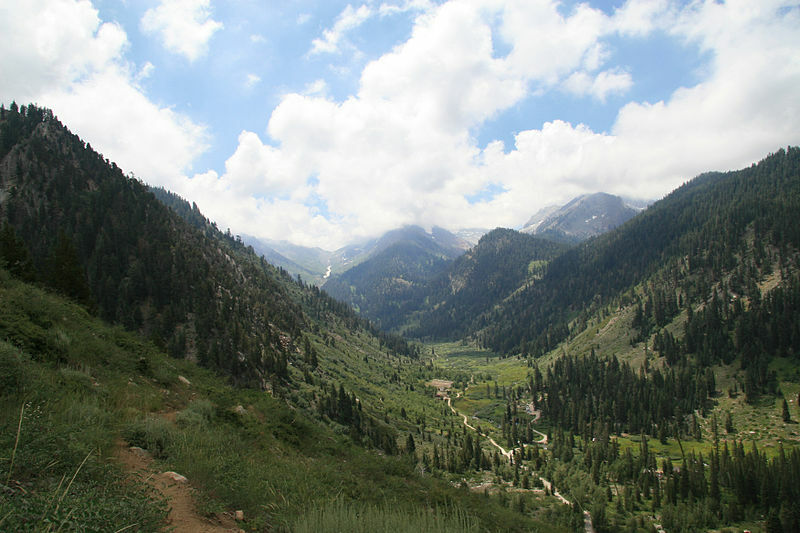 The case concerned a decision by the U.S. Forest Service to open the Mineral King Valley to commercial development. The valley lies in the Sierra Nevada Mountains, next to Sequoia National Park. In 1969, the Forest Service approved a plan by the Walt Disney Company to open a complex of motels, restaurants, swimming pools, and parking lots there to accommodate 14,000 daily visitors on 80 acres of land. The question the Court was asked to decide wasn’t whether the Forest Service had acted properly, but instead whether the Sierra Club had “standing” to bring suit against the Forest Service at all. The Court said it didn’t, that the environmental organization lacked a sufficiently “individualized claim” to allow it to sue. The conflict in Kashmir has numerous causes, but one of its roots, as Justice Douglas wrote in Beyond the High Himalayas, is a dispute about “the water system between India and Pakistan.” The region is the source of various tributaries of the Indus River, which feeds both countries—and with a growing population in both India and Pakistan, control over water rights is an existential national security issue. This aspect of the Kashmir controversy was formally resolved by the Indus Waters Treaty of 1960, a water-sharing agreement brokered by the World Bank. India controls the chief upstream portions of the Indus tributaries, however, and Pakistan continues to doubt the long-term force of the treaty. When Justice Douglas visited the area, the riparian issue remained very much alive—and it quietly bookends Hitchcock’s masterpiece. In this respect, I think the film is part of its larger legal moment. “Rear Window” traces two plots toward a single resolution: the psycho-sexual plot of Jeffries and Lisa, and the crime plot of the murder. The same action that shows Jeffries that Lisa is an appropriate love choice also catches the killer: she climbs through the window and finds the incriminating wedding ring. The two get married, and the police get their man. In both cases, the resolution of the conflict takes place within institutions. The notion that psycho-sexual health and legal order were fundamentally interconnected was characteristic of liberal constitutional thinking of mid-century. I’ve written about the subject in relation to Gunnar Myrdal and the Court’s decision in Brown v. Board of Education—a case decided four months before “Rear Window” was released—in one of my previous books. By framing the plot of his film between two references to political conflict in South Asia, a filmmaker who explored geo-political themes in many of his other movies calls on his audience to imagine a similar legal resolution to international conflict. 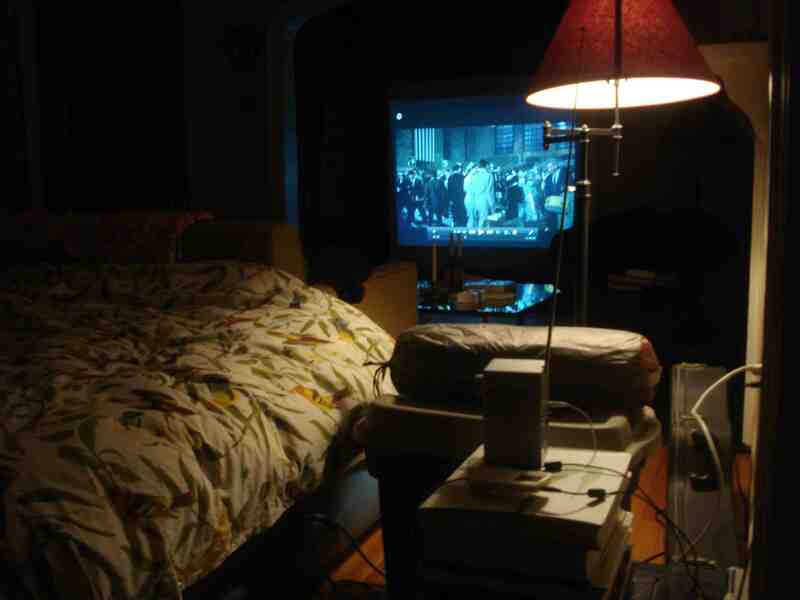 The film raises the ethical problem of voyeurism, while as a side matter gesturing toward the ethical necessity of international constitutional solutions to govern a difficult world. It is a film about the importance and the complexities of looking across boundaries as a creative act, from which new forms of life would arise. That’s a lesson that the intrepid judge whose book appears in the final seconds of “Rear Window” knew well. Thanks for your comment, John. Your film looks terrific! Worlds of Law readers, to see the trailer, see http://williamodouglas.org/watch_trailer.php.